Flyrod selection. Photograph courtesy of Tom Fraser. With such a bewildering array of fly rods available deciding just which is the best for you and your style of fishing isn’t easy. Here are some useful background tips to start you in the right direction compliments of Kilwell Sports. The range of Kilwell flyrods. Q. I’m about to purchase my first fly rod, where should I start? A. Your first step is to consider the line weight or AFTMA weight you will need. 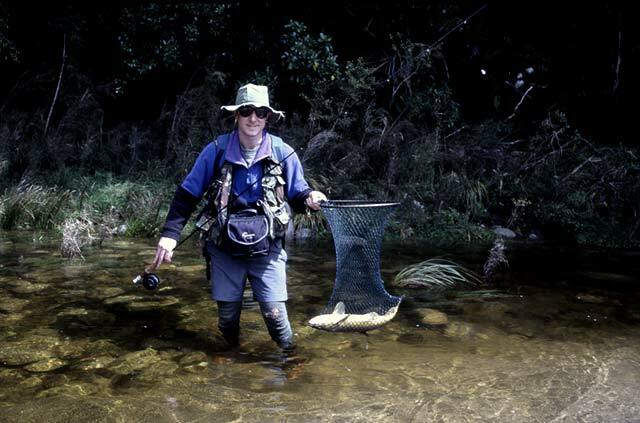 For New Zealand freshwater conditions, rods for a 5 line are considered light and 8’s and 9’s are heavy. If you’re mostly going to fish small streams a 5 or 6 weight will be your choice. 8 and 9 weight rods are suitable for the Taupo district or areas where long casts in windy conditions are common. If you are unsure, speak to an experienced fly fisherman in a tackle store where you will be fishing mostly. Q. I’ve seen American fly rods costing two and sometimes three times as much as the equivalent Kilwell rods, I’m serious about my fly fishing but are they worth the money? A. The performance and quality of Kilwell rods stack up with the best in the world, there’s no doubt about it! Much of the time we use near identical types of carbon fibre and hardware as US rod companies, only with design features specific to our testing New Zealand conditions and large trout. Q. I’ve read a lot about the different `modulus’ of graphite fly rod materials. What modulus do Kilwell use and which is the best? A. We use a combination of what is termed ‘Standard’ and `Intermediate’ modulus graphites in most of our rods although to be honest, it means little! Despite what the marketing arm of some companies will tell you, modulus or stiffness simply isn’t a measure of quality and performance. In our opinion, many of today’s super stiff rods are becoming so at the detriment of castability. Actually the taper design, ‘cut of the cloth’, fibre strength, hoop reinforcement, the components and the modulus are all factors which affect how a rod performs. End result – good fly rod manufacture isn’t ‘design by numbers’! Q. Can I use a heavier or lighter line than suggested by the rod’s rating? A. We design our rods with careful consideration to balancing the line weight used with blank stiffness and recommend you chose the line weight suggested on the rod. However, fly fishing is all about individual interpretation and personal preference (although not too many rod companies will tell you that) so whatever works for you is good. 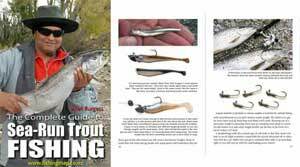 If you want the rod to load quickly at shorter distances ‘up line’ by one weight and reverse that for false casting long lines. If you are new to fly casting try ‘up lining’ one or two weights to start with until you feel the rod ‘loading’ and responding to your casting stroke. Q. What difference does rod length make? A. Length is not absolutely critical. Line weight is more important. 9’0″ rods are a good place to start for New Zealand fishing. Longer rods are better for mending line (moving it on the water), roll casting and wading deep. They also give you a little extra ‘reach’ with the tip when wet lining which can enable you to get the line into a lie better. The downside of a longer rod is that the Swing Weight (the weight of moving the rod back and forth in the casting motion) is greatly increased, so they can feel much heavier. Rods that are shorter than 8’6″ or 9′ have limited use unless you fish tight corners and need to tuck the tip in under overhanging bushes etc. New Zealand Fishing Flies. Q, What Guarantee do your Kilwell fly rods come with? A. All New Zealand made Kilwell rod craft rods are backed by our Unconditional 5-year warranty against accidental breakage and a limited lifetime warranty against faulty materials and workmanship. Even our inexpensive models! Fill out the warranty registration at the time of purchase and Retain your copy. So if the kids slammed the car door on it or the Labrador pup ate it (don’t laugh, it actually happened) then relax – you’re covered! Q. What is the purpose of the ferrule wax that came with my Kilwell rod craft fly rod? A. The wax is a lubricant and binding agent. It helps the ferrules bind firmly in place and prevents them from coming apart while casting and fishing. It also prevents the ferrules becoming permanently stuck. Keep it in your vest and rub a little on once the ferrule starts to feel dry. Remember to use a twisting and pulling (or pushing) action when assembling the rod. Some thoughts on test casting our Kilwell rods: A. Once you’ve got over that Male ‘testosterone’ competition `Thing’ and cast the whole line plus some backing. Settle down to some realistic length casts. Sure, chucking the whole line is impressive, but you don’t usually need to do it with a #5 or #6 so calm down, please! Think about how far you will cast, in what conditions and with what sort of terminal tackle when fishing and try to duplicate it in the tests. Try some roll casts if you are testing on water (you won’t be able to roll cast on ­dry land) or a reach mend, whatever you would normally do when fishing your favourite water. Try a few line combinations (floaters, sinkers etc) and in the end, go with something that feels comfortable for you!